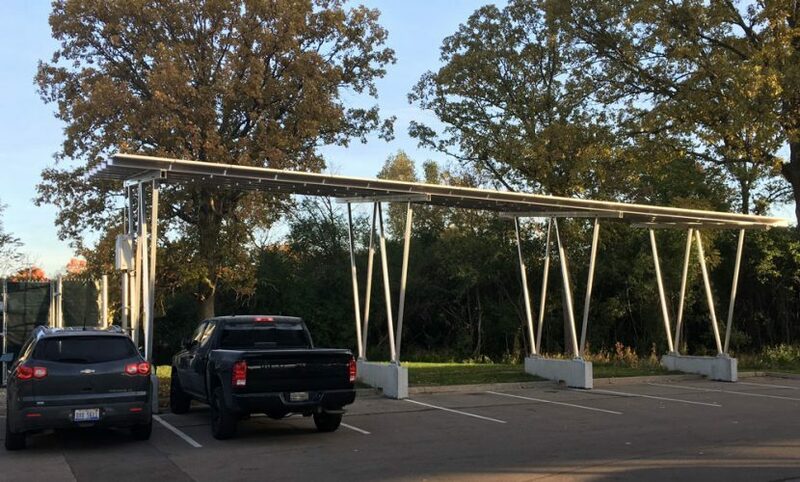 The Spartan solar project is located at Michigan State University (MSU) in East Lansing, Michigan and covers 5,000 parking spaces over 5 parking lots. 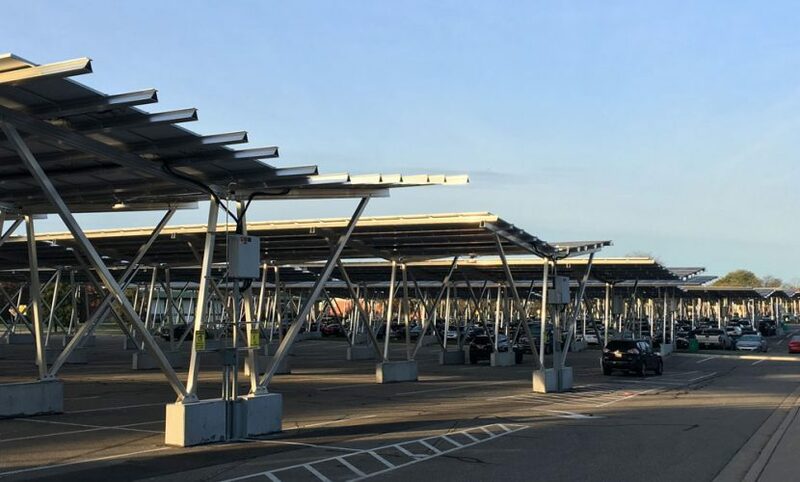 Power generated by the solar farm will be sold to MSU under a 25-year power purchase agreement that expires in 2042 and will offset a portion of the electricity currently generated at the university. The project includes over 40,000 335 W Talesun DC panels and includes 7 Power Electronic inverters and generates 10.5 MWAC (Alternating Current) (13.5 MW Direct Current). The project achieved commercial operation in December 2017.